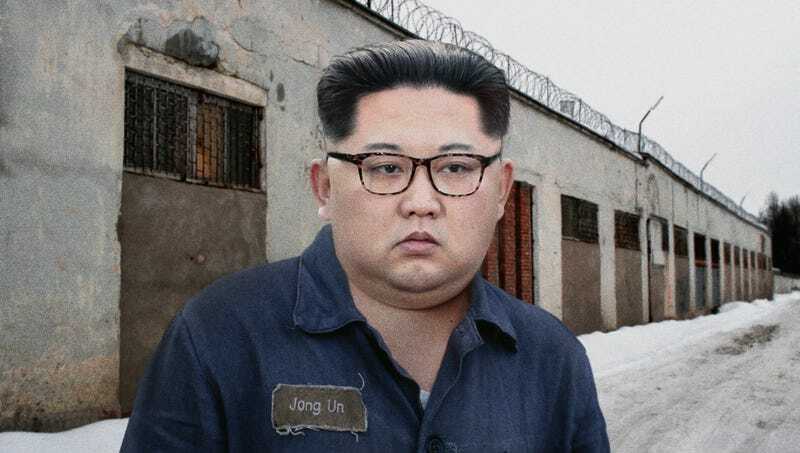 PYONGYANG—Following a swift capture, arrest, and trial before an official tribunal, North Korean Supreme Leader Kim Jong-un was thrown into a remote labor camp for attempting to cross the border into South Korea, authorities from the totalitarian nation confirmed Friday. “Kim Jong-un is an enemy of the state and has been sentenced to 45 years of hard labor,” said a representative from the North Korean Ministry of People’s Security, adding that troops quickly apprehended the former dictator after he and several companions were spotted traveling across the line demarcating the demilitarized zone that divides the two nations in broad daylight. “As punishment for disobeying the government’s orders, Kim Jong-un will be forced to work 16 hours a day to repent for his treacherous actions against his nation. May he serve as an example to all North Koreans of the importance of loyalty to one’s country.” At press time, sources confirmed that the malnourished, tortured former leader had been executed in the camp for collapsing from exhaustion.